Is the Quran a Book of Science? Home Opinion Is the Quran a Book of Science? 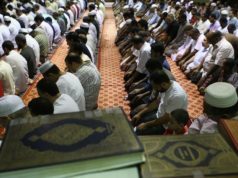 Chicago - Whether the Quran — the Muslim holy book made known to humans via the prophet Muhammed over the course of approximately 23 years beginning in 609 — is a book of science is a question that stirs controversy. Abdallah Zbir holds a Teacher Diploma in Arabic Language and Literature from Teachers Training Center. 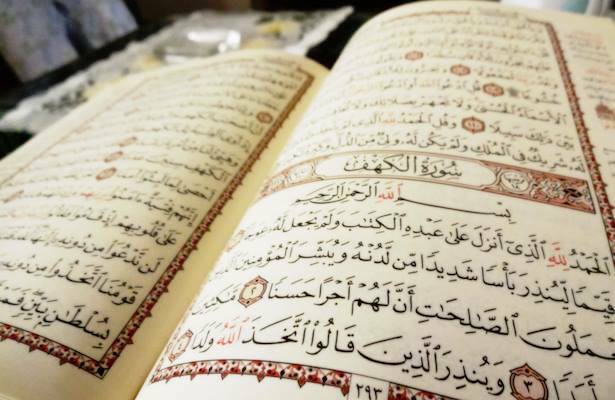 Chicago – Whether the Quran — the Muslim holy book made known to humans via the prophet Muhammed over the course of approximately 23 years beginning in 609 — is a book of science is a question that stirs controversy. To consider this question, one should focus on the central message behind revelation. 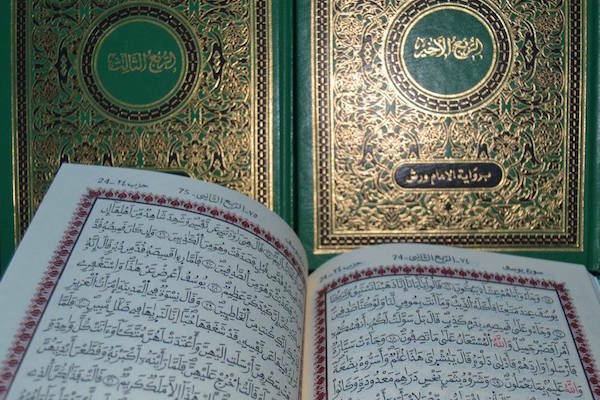 The Quran describes itself as a text of guidance, and every single passage recounted in its verses serves the legitimacy and credibility of this description. Yet to ignore how the Quran represents an authentic and genuine challenge to human knowledge and manipulation is to distort reality. On Nov.9, 1976, Dr. Maurice Bucaille proclaimed “the presence in the Qur’an of highly accurate reflections on natural phenomena.” In his lecture “Physiological and Embryological data in the Qur’an,” Bucaille, a French medical doctor, author and one of the brilliant members of the French Society of Egyptology, listed different expressions, phrases and basic concepts of a purely scientific nature contained in the Qur’an. He claimed that “there is no human work in existence that contains statements as far beyond the level of knowledge of its time as the Qur’an”. The expansion of the universe, for instance, supported in modern time by both the theory of relativity and all current calculations of astrophysics, fits perfectly the the descriptions given in Qur’an. What is summed in the verse, “I built the heaven with power and it is I, who am expanding it” (Quran 51:47) alludes to all discoveries in modern science. Then comes another unique example in the Quranic affirmation that god “made every living thing out of water” (Quran 21:30), aligning completely with the modern idea that the origin of life is aquatic. Of course, the Quran has other echoes of science in it. It contains and references various specific data relevant to modern science’s conclusions and discoveries. Additionally, the way the Quran explains natural phenomena represents an absolutely encyclopedic scientific knowledge to the extent that we can confidently suggest that it establishes its total conformity with modern knowledge. However, Bucaille’s claim was clear in its assumptions, and later said that “the Qur’an remains a religious book par excellence and that it cannot be expected to have a scientific purpose per se.” Of course, the obvious intention is to suggest the divine omnipotence not only of the text itself but of the whole message. 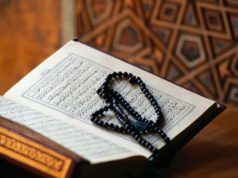 Above all, the main idea within the holy Quran is about guidance and exhortation. To say this is to basically dissociate the Quran from those claims that the book is of science. 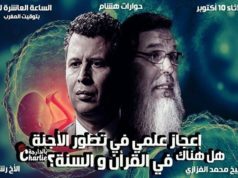 Should it be considered extravagant or represent a shameful act of ignorance to dispel the Quran’s talks on physics, chemistry, geology and more or deprive it of any scientific privilege? Yes. Again, everything depends on interpretation. If there is a paradigm to hold to, void of confusion or ideology, it is to say, once and for all, that all these beautiful things living within the warmth of the holy Quran are there to guide mankind towards the best possibilities of moral life. Wisdom nestles there, somewhere underneath its charming and orchestral verses and marks the route for both physical and spiritual eminence. It’s all about how to unlock the self towards eternity. We should place common sense on alert not to fall prey to ready-made assumptions or ideas carried through the different stages of Islamic history. To view it from the bridge of science is to limit the Quran in a way that is both harmful and misleading even to the believers, of whom I am proudly a member. But to the book itself — it deserves a high status of sanctity, morality, and purity. I should admit that the interpretation of religious texts is the work of jurists, theologians and linguists. We expect them to have the knowledge and tools required to attain the true meaning of texts. We expect them to know intimately the ways in which the letters, words and expressions send signals and hence grasp the messages being delivered. My mode of reading is different. It would have damaged the ideas I mentioned had I responded to these texts the way these scholars do. It is quite relevant to an artist’s vision to go beyond familiar formats. My main concern is that of the spirit inhabiting the Quran. Such a trend in reading may be annoying or provocative enough to raise anger within larger groups of people. It may manifest as an attack on Islam. “When all you have is a hammer, every problem looks like a nail.” And when the belief is firm that the Quran is a book of science and every religious scholar views it in such a manner, the risk will appear to be within any opposite claim. Yet, such a trend may actually do a better job of explaining what has gone wrong in the ideas these scholars bring forth. 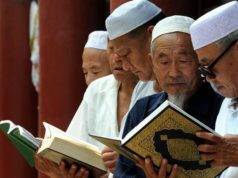 If we are to place Quran in its right context, we should say that its ideas were more current to its time and place. It was more of a record of different religious teachings, doctrines, descriptions and general reflections on mankind, life, existence, the supernatural and so on. The tone is overall of a moral nature and an embracement of knowledge. The two oft-quoted sayings of the prophet Muhammed, “Wisdom is the lost property of the believer” and “Seeking knowledge is compulsory on every Muslim,” serve to constitute a paradigm through which one can think of Islam and hence of its central text, the holy Quran.